As if summer break and vacations aren't good enough reasons to love July, there are 31 more excuses to celebrate the summer's hottest month. 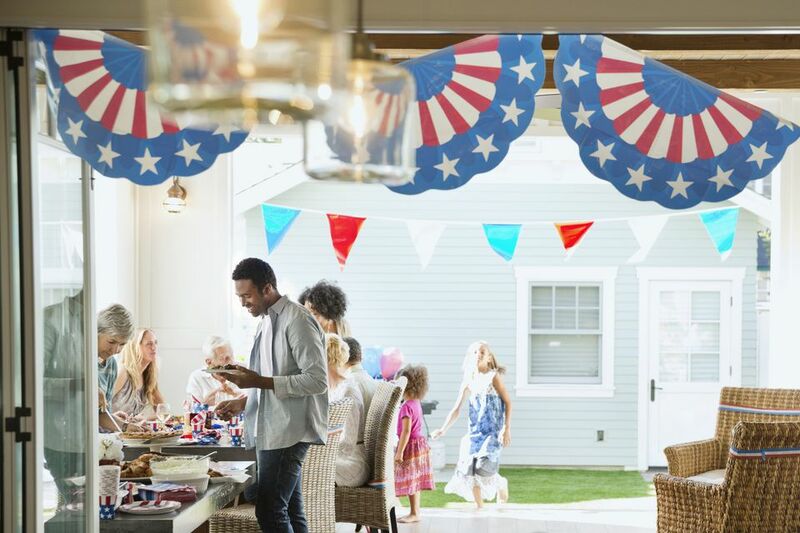 From Independence Day to National Ice Cream Sundae Day and to World Emoji Day, there are so many reasons to get out and party this month! 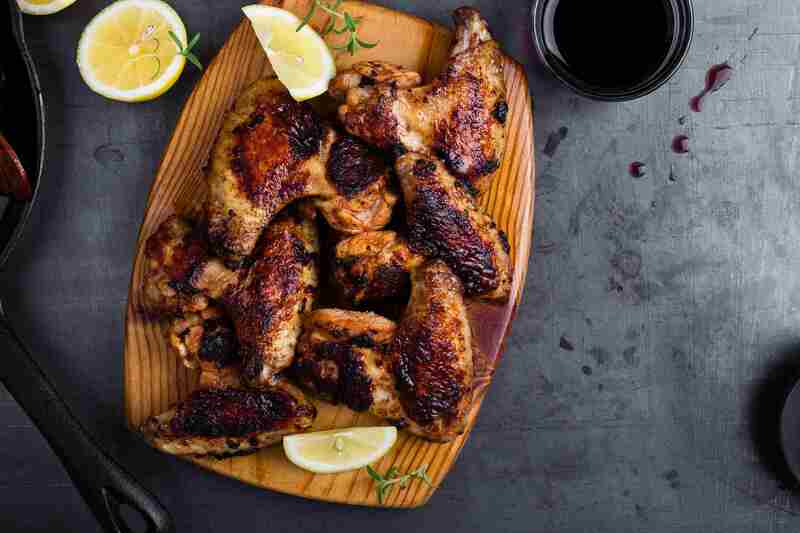 Chicken wings bring a certain delicious something to game day, happy hours, sporting events. and those nights you just have to resort to takeout. That certain something could be the buttery, saucy, bleu cheesy (or ranch-y!) deliciousness that is impossible to eat without making a mess. Remember, the mess is part of the charm! Support American small businesses and your local economy by shopping local and shopping American. Supporting companies with headquarters and productions in the United States of America ensures work for American laborers and revenue for American businesses. You can feel good knowing you're boosting the hometown economy. The song is right: Beans are good for your heart! They're also good for your digestive tract, muscle development, and waistline, too. Toss a half-cup of kidney beans into your favorite salad, roast chickpeas with olive oil and your favorite seasonings for a crunchy snack. Or, blend black beans into your go-to brownie mix for a healthier, fiber-filled brownie recipe. Between the barbecues, ice cold beers, fireworks, and bonfires, take a few moments today to reflect on the true meaning of Independence Day. Life, liberty, and the pursuit of happiness are the true reasons to celebrate. Happy birthday, America! Although they might not be the first cookies you reach for when your sweet tooth strikes, the humble graham cracker is needed for s'mores, graham cracker pie crusts, cookies, and even banana pudding with graham cracker crumbles! Pressed into a pie crust or crumbled on top of ice cream, graham crackers can give so many desserts an extra dose of crunch and sweetness. Chocolate has an almost magical ability to make almost any situation better. And eating an ounce of dark chocolate each day actually has some health benefits, like reduced stress and blood pressure. Now you don't need an excuse. If celebrating plain chocolate wasn't enough, today is the day to celebrate chocolate with almonds. The crunchy pairing can be eaten in candy bar form, chocolate covered almonds, or any other way your sweet tooth desires. Sugar cookies are simple yet versatile and they are so easy to make; flour, sugar, butter, eggs, vanilla, and baking soda is all you need and they only take a few minutes to whip up. There are so many tasty ways to dress them up, like icing them with homemade frosting, making miniature ice cream sandwiches, or making a sugar cookie crumble! If you can't transport yourself to the beach today, this classic, tropical cocktail can! This beverage is made with a few simple ingredients including white rum, coconut cream, and pineapple juice. Nothing can make your back patio feel like a tropical escape like a pina colada can. Break out the tiny paper umbrellas, kick off your shoes, and enjoy. Say hola to your new favorite cocktail! Combining white rum with sugar, lime, mint, soda water, and sugar, this Cuban classic tastes light and refreshing. It's perfect for hot Havana nights or an evening on your porch. Mojitos aren't the only drinks in the limelight today. It's the summer day every kid waits for: Free Slurpee Day at 7-Eleven! Grab a free Slurpee at your local store and watch out for the brain freeze. A classic, Southern staple, pecans can be used in so many delicious ways. Look for them in pies, pralines, salads, smoothies, and even as a delicious crust for salmon! Paired with some simple condiments like ketchup or mayo (or both), topped with truffle oil and parmesan, or mashed on top of a juicy burger, there's no wrong way to enjoy a big pile of fries today. Between a hectic work schedule, chores, family time, and much-needed alone time, every day may feel like Pandemonium Day. But today, embrace it! Do something you normally wouldn't do: Stray from your regular schedule, wear jeans to work, let the dog on the bed, dig into your favorite junk food. Do whatever you need to let loose and embrace the pandemonium! If you don't own a horse, don't have access to a local barn, or don't horseback ride, you can still enjoy horses today. Look at some picture books with your kids, watch some videos, and learn about these majestic animals. You don't have to down a massive pile of spinach to celebrate National Fresh Spinach Day! Try sauteeing spinach in olive oil with garlic, diced onions and your favorite spices, blend a handful into your breakfast smoothie, or even mash it into hamburgers, turkey burgers, or meatballs for an extra serving of veggies! It's no coincidence today is world emoji day. It's the date displayed on the emoji for a calendar. From the beloved grimace emoji, to the controversial upside-down smiley emoji, to the classic poop emoji, there are so many ways to emote, without actually emoting. It wouldn't be summertime without grilling burgers and hot dogs! Whether you prefer classic hot dog toppings, like ketchup and mustard, or more daring combinations nothing beats a delicious hot dog paired with an ice cold beer on a hot, summer afternoon. Try a daiquiri today! The famous cocktails combine rum, citrus juice, and sugar (or another sweetener of your choice) to make a delicious and refreshing beverage. In a busy week, there can be few opportunities to take a nap. Hit the pillow and take full, unabashed advantage of nap day. Today, it's basically your duty as an American to treat yourself. Skip the standard breakfast bar and dig into some homemade donuts, ditch your sad desk salad and eat a slice of pizza or a decked-out grilled cheese, and swap your salmon with veggies for some hearty chili fries, deliciously decadent burgers, or pasta piled high with cheese. National Junk Food Day only comes once a year, after all! Even if you can't take a nice, long vacation this summer, it's important to give yourself some TLC. Take a breather from the daily routine and go to the beach, lake, or a local park for a picnic, hit the mall and splurge on the outfit you've been eyeing for weeks, or simply sleep in and have a lazy day on the couch. If vanilla ice cream alone doesn't float your boat, try some other options. Go for vanilla ice cream scooped onto a hot brownie, vanilla ice cream blended into the perfect milkshake, or vanilla ice cream topped with your favorite sundae fixings. Today's the day you can finally unleash your beloved dad jokes without fear of people groaning and rolling their eyes. If you need a little material, here's one: Why don't crabs donate to charity? Because they're shellfish. Is there any combination that's better than wine and cheese? Grab your cutest charcuterie board and get arranging! Crisp on the outside and chewy on the inside, there's nothing better than a fresh bagel. Top it with fresh cream cheese or smoked salmon, tomatoes and onions, melted butter, or turn it into a stacked sandwich. The oldest recorded mention of scotch is from 1494. That means enjoying a nice glass of scotch today is actually an educational experience. A hamburger with fries is truly a classic. Whether you opt for a traditional hamburger, a burger wrapped in bacon, or a more creative blend of fixings, there's no wrong way to eat a hamburger today. If you don't eat meat, try a delicious meatless burger recipe! Combining pasta, cheese, meat (or veggies), and tomato sauce, lasagna is so delicious. Looking for a lighter version of this dinnertime classic? Swap your pasta for zoodles and opt for reduced-fat mozzarella. Books have the magical ability to transport the reader to faraway places and teach things you never knew before. Grab your favorite paperback, hit the beach, pool, lake, or even your back porch and enjoy! Served as plain slices on a sandwich, mashed into flavorful guacamole, or blended into dairy-free fudge, today, we're honoring this beloved fruit.